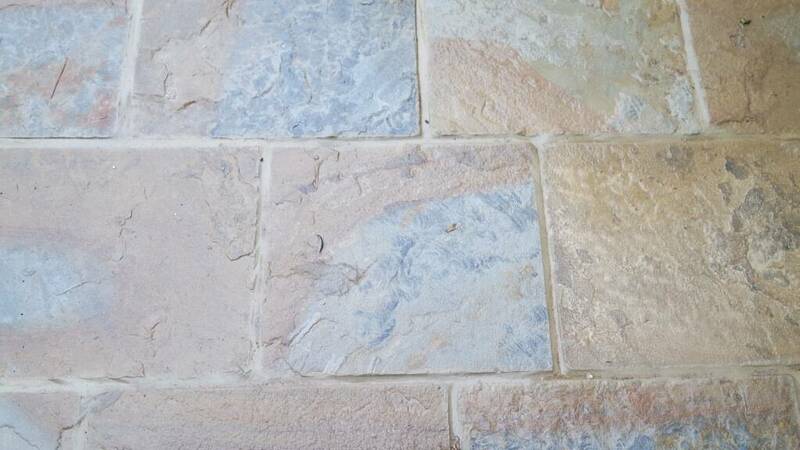 A stone flag with a lot of characteristic and charm that our builders have enjoyed working with. The end result is vey eye catching and will be around for a long time. 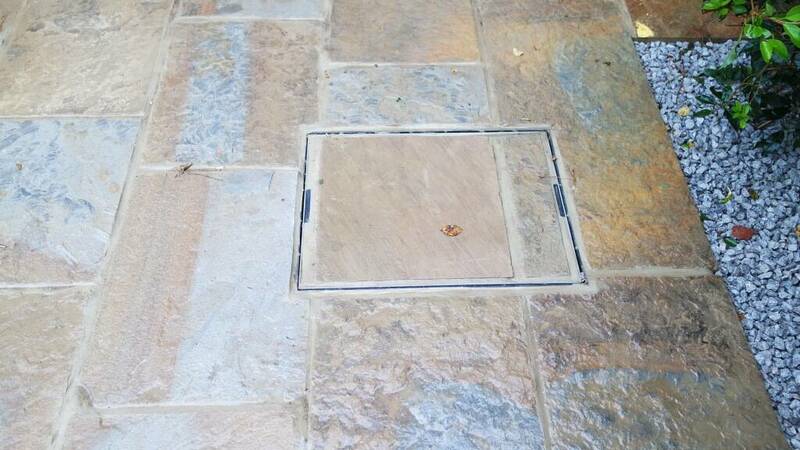 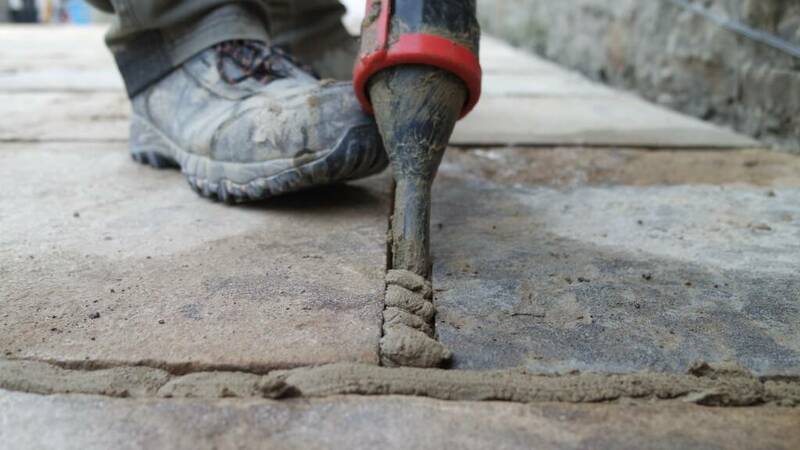 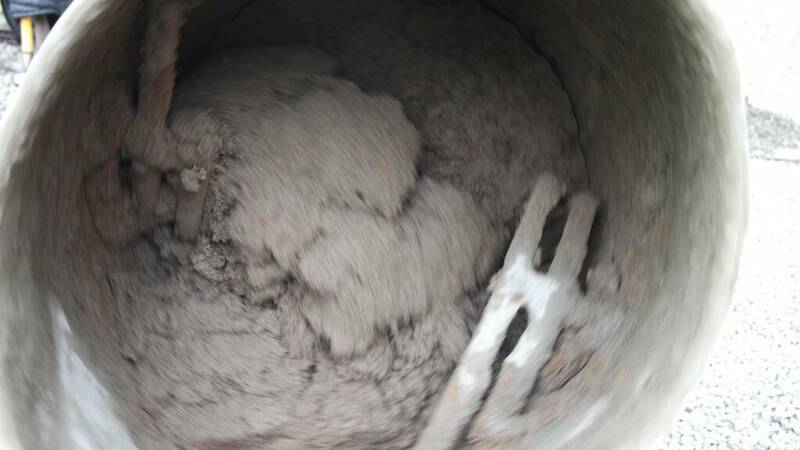 To ensure longevity our builders focus on good presswork making sure the base is adequate in depth and just a slight tilt to allow for drainage. 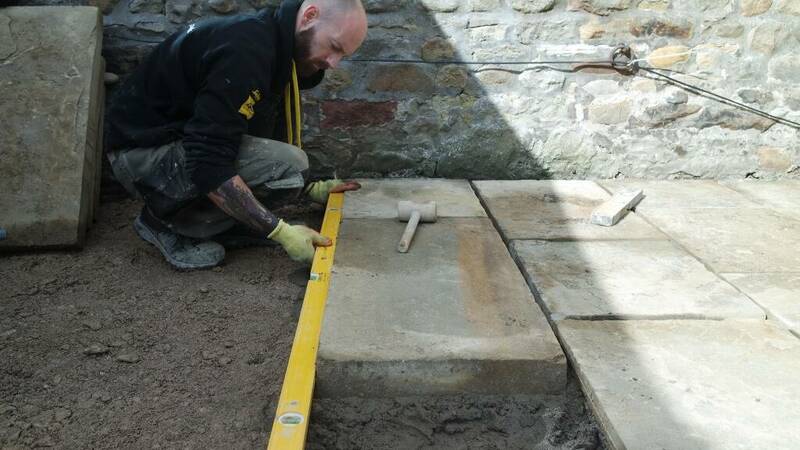 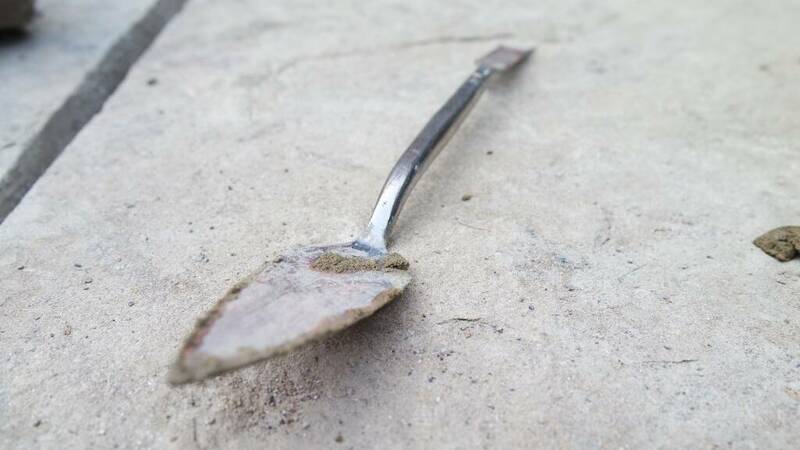 With all our flagging projects, we never 5 spot flags, all our patios are laid on a full bed of grit sand and cement to secure the flag for a lifetime of use. 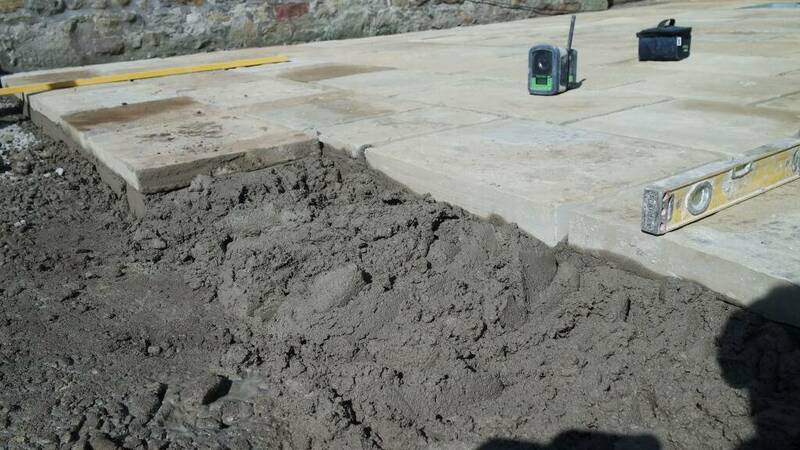 As these flags are not calibrated then each bed of cement has to be made to just the right depth by our builders. 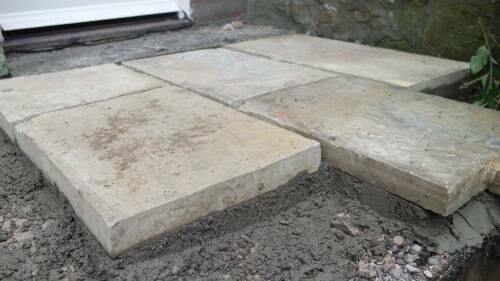 With a few levels at hand we make sure that the flags have a slight run off when tapped down and make full contact with the cement bed. 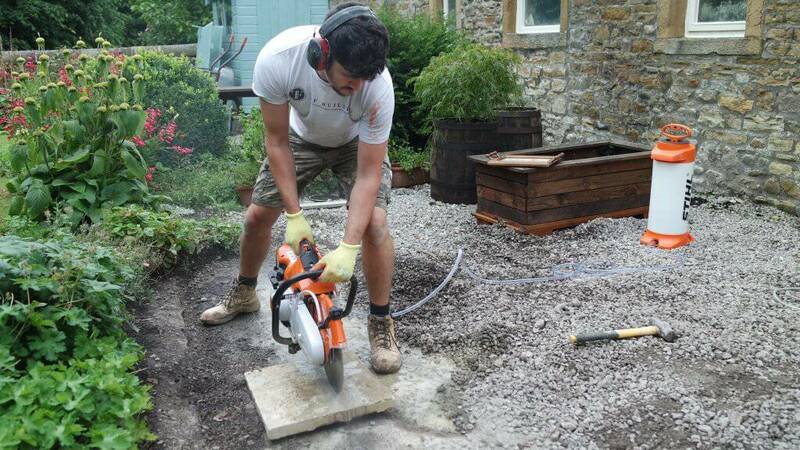 All cutting is done using a water sprayer system to eliminate any dust keeping our projects clean and tidy. 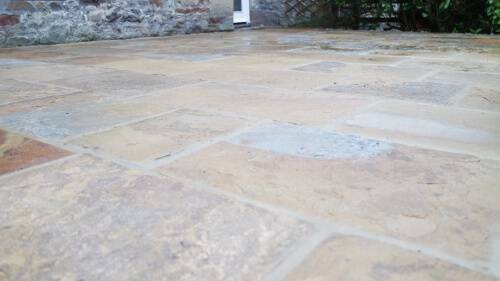 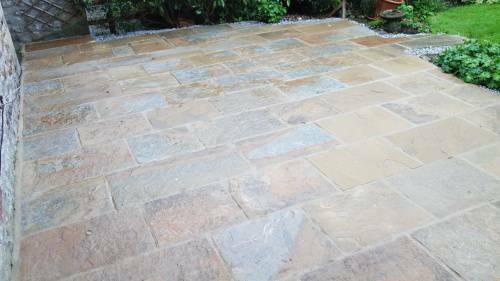 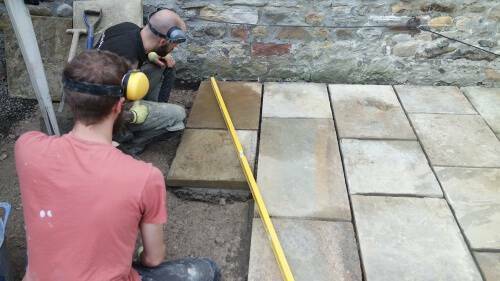 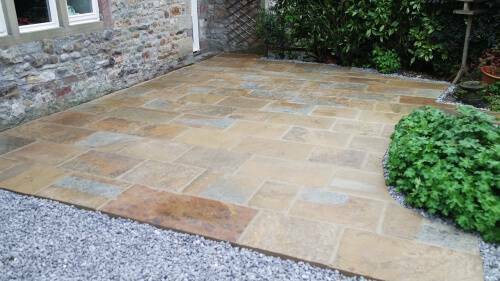 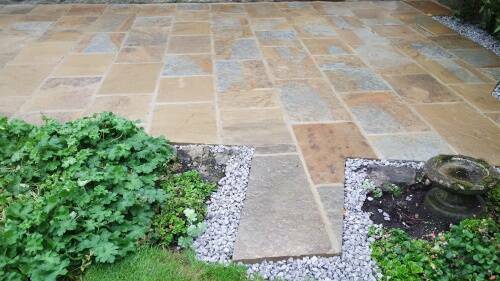 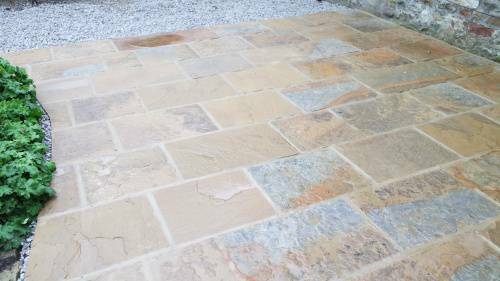 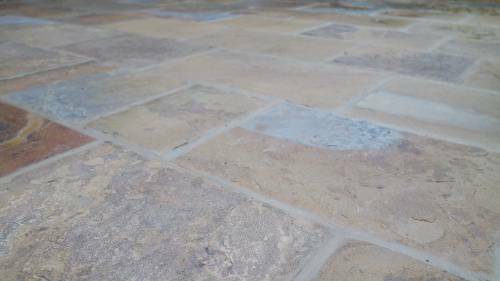 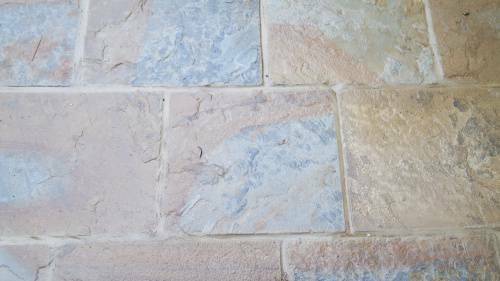 We pointed the flags by hand to a brushed finish with a light coloured building sand to fit with the colour of the Yorkstone. 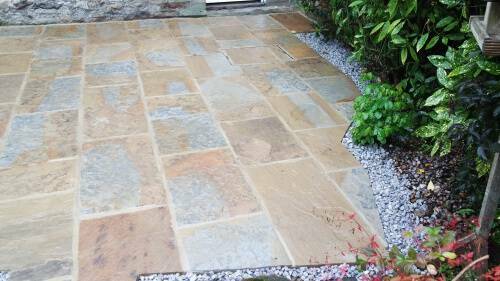 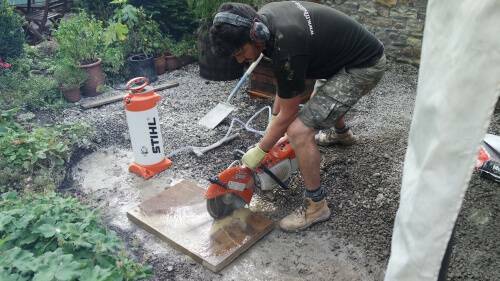 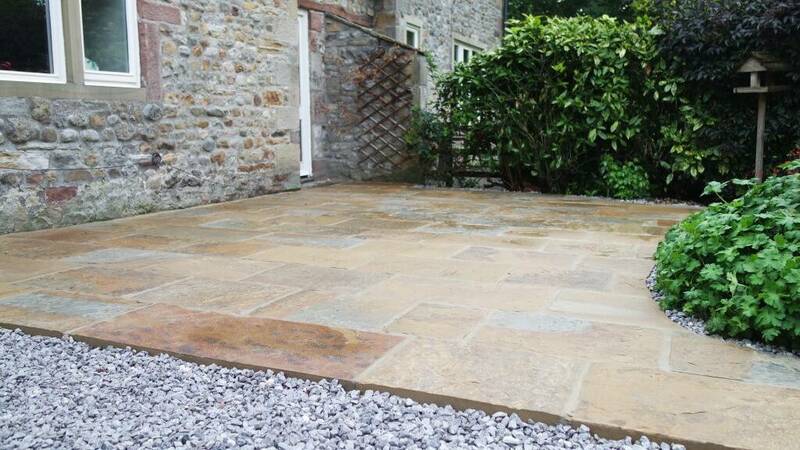 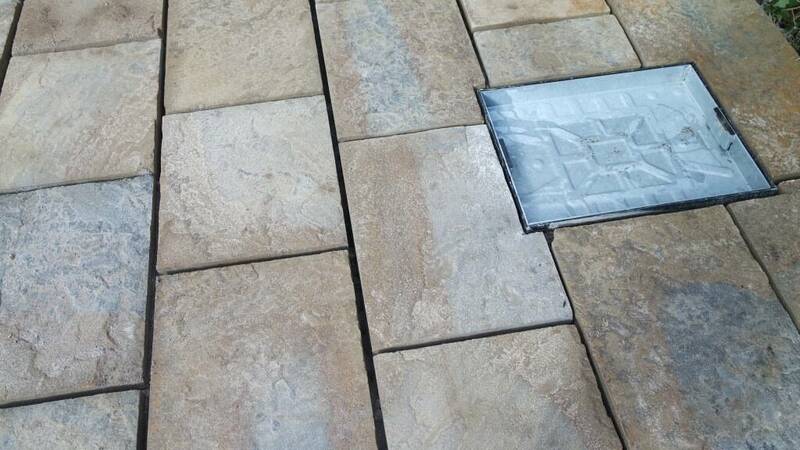 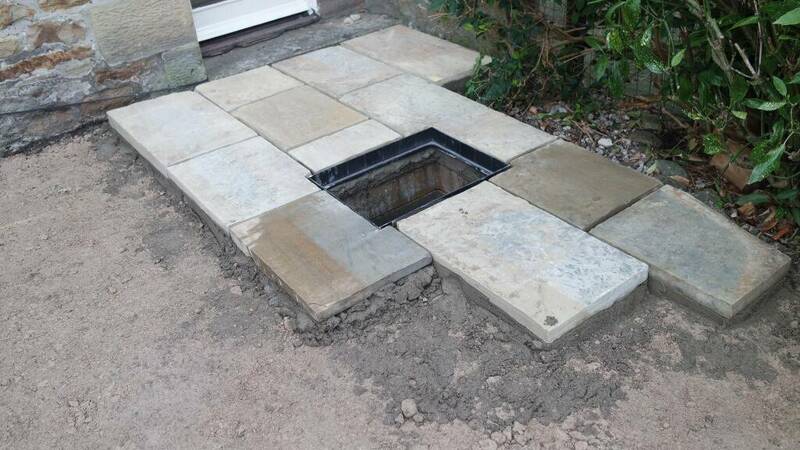 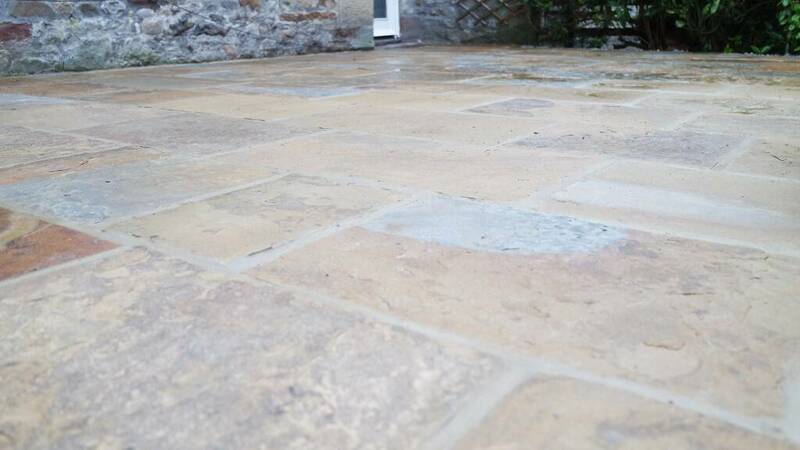 If you have a Patio project in or around the Skipton area you would like to have chat to one of our builders about then head over to our contacts page and drop us a message. 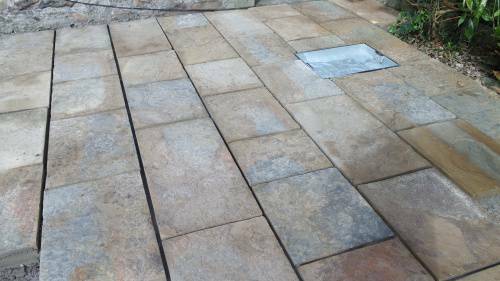 We offer a free estimate and are more than happy to help you with any ideas.